The perfect spring beer! Late additions of Vic Secret and Huelle Melon hops keep the bitterness low while providing tropical fruit and citrus aromas. The oats and wheat used in the grain bill help contribute to a fuller mouthfeel. 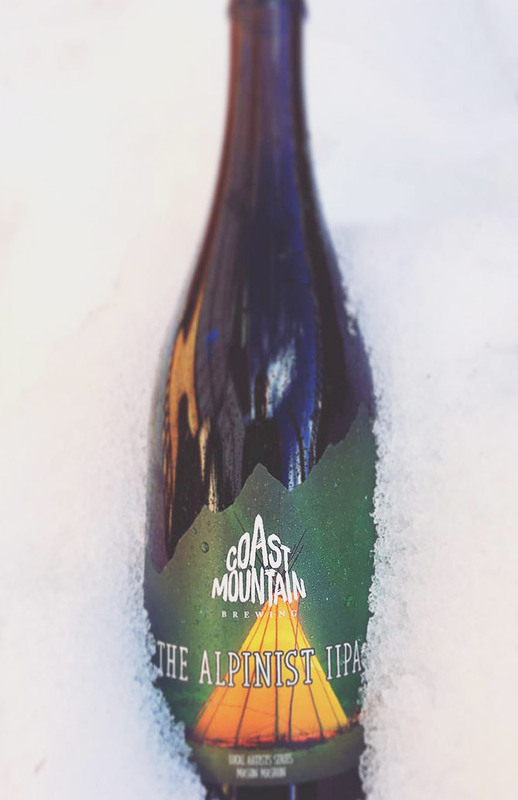 This beer is worth the hike down to the village. Because as locals say, “Death Before Download”. 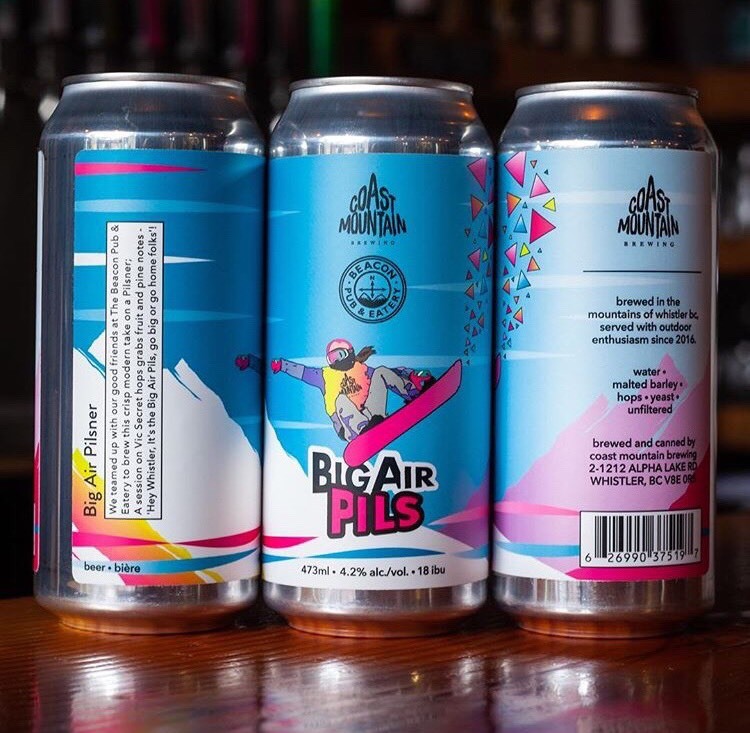 We teamed up with our good friends at The Beacon Pub & Eatery to brew this crisp modern take on a Pilsner; A sessions on Vic Secret hops grabs fruit and pine notes – “Hey Whistler, it’s the Big Air Pils, go big or go home folks”! 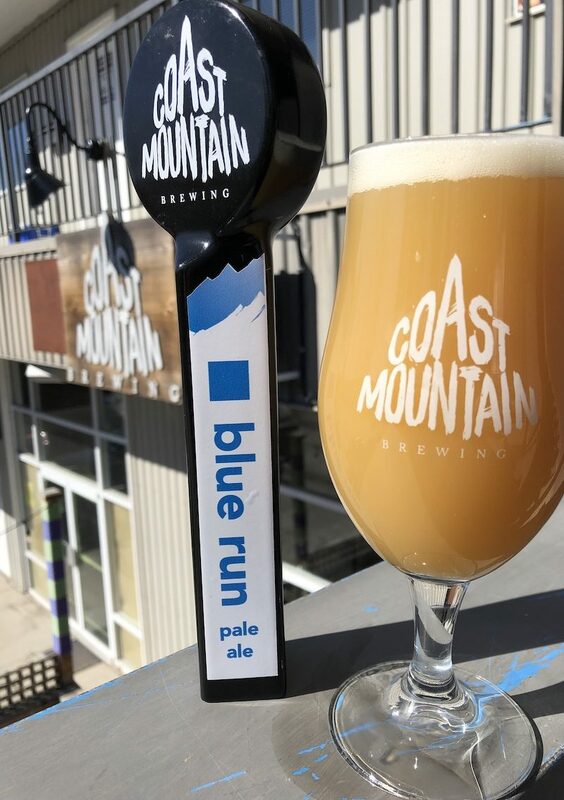 Blue Run is the perfect intermediate pale ale for both the mountain and craft beer enthusiast. Highlighting the aromatic qualities of Citra, Vic Secret and Amarillo hops. 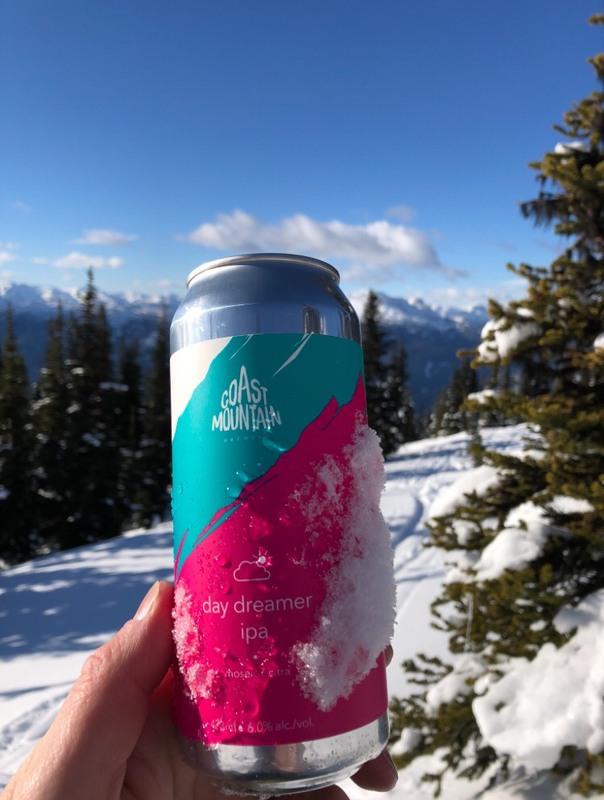 This hazy pale ale is great for a bluebird day! Highlighting one of our favourite yeast strains, titled A-20 Citrus, it cranks out orange and lemon aromas with plenty of tropical fruit notes. The addition of tart cherry juice part way through fermentation gives the beer it’s glorious colour and plenty of character. Expect sour, sassy, juicy, bright pizzazz in a glazz. 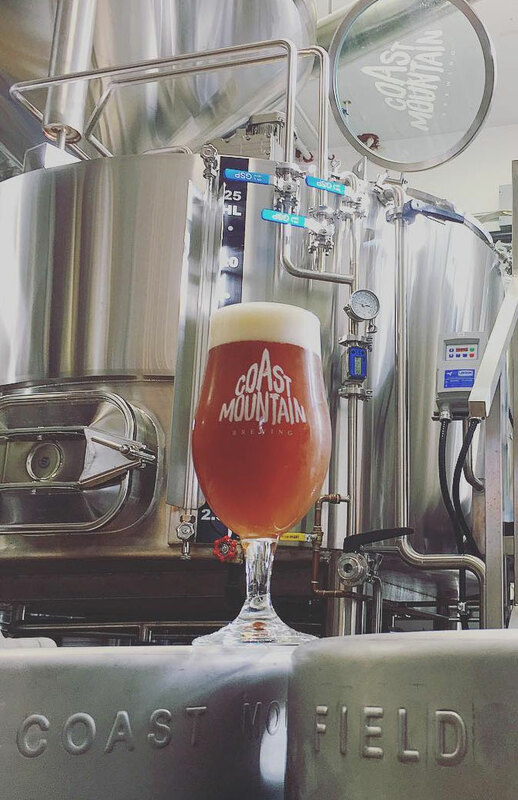 Coming in at 6.7%, this IPA is loaded with Enigma, Citra and Mosaic hops. These hops showcase strong notes of rock melon, citrus and tropical fruits while adding just enough bitterness to create the perfect balance. The grain bill includes a nice heavy addition of oats and wheat, creating a pillowy mouthfeel that will have you coming back sip after sip. 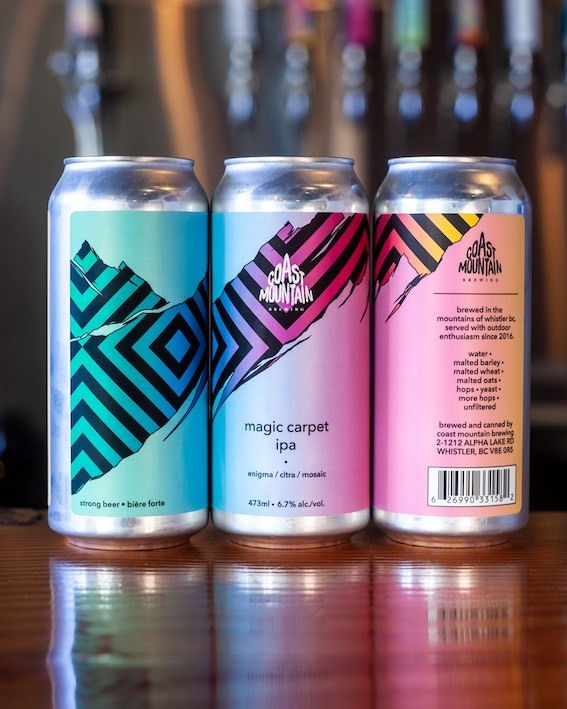 Over sideways and under your tongue, this beer is sure to take you on a Magic Carpet ride! Nice and clean, extremely sessional, mellow bitterness, smooth body with sweet notes of caramel, citrus flavours with a resinous, herbal hop follow-up. 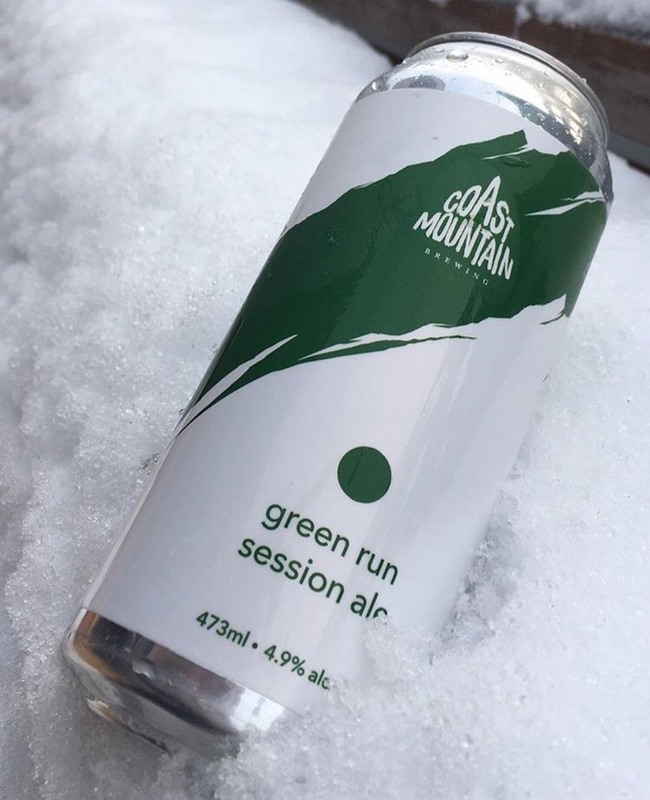 Green Run Session Ale is brewed with a gluten reducing enzyme. 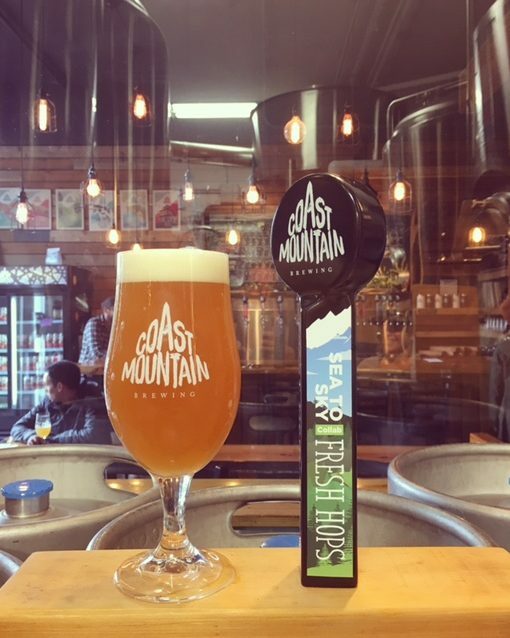 Not too crazy sour, this beer has just the right tartness and is loaded with all of our favourite hops: Galaxy, Vic Secret and Citra. 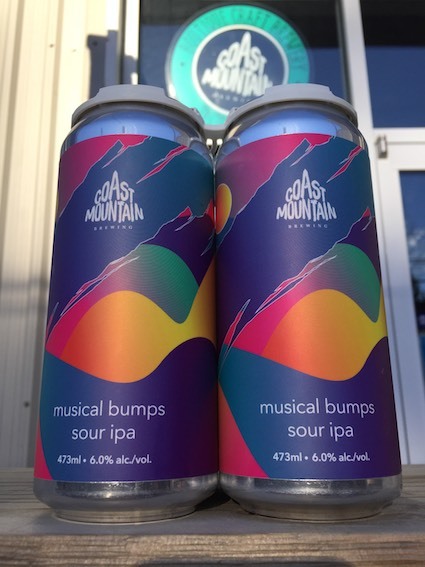 Musical Bumps is fermented on 3 separate yeast strains to obtain a tart, juicy Sour IPA that bites back (just a little) at 6%. 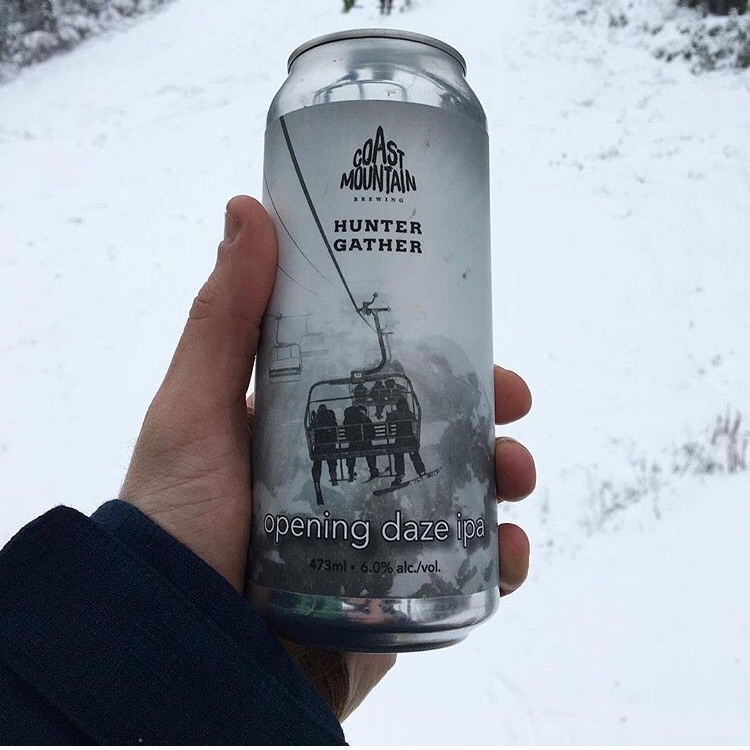 We teamed up with Hunter Gather to celebrate the return of the ski season with Opening Daze IPA. Brewed with ridiculous additions of Citra, Vic Secret and Galaxy hops; we’re calling for cloudy conditions with 100% chance of hop flurries! 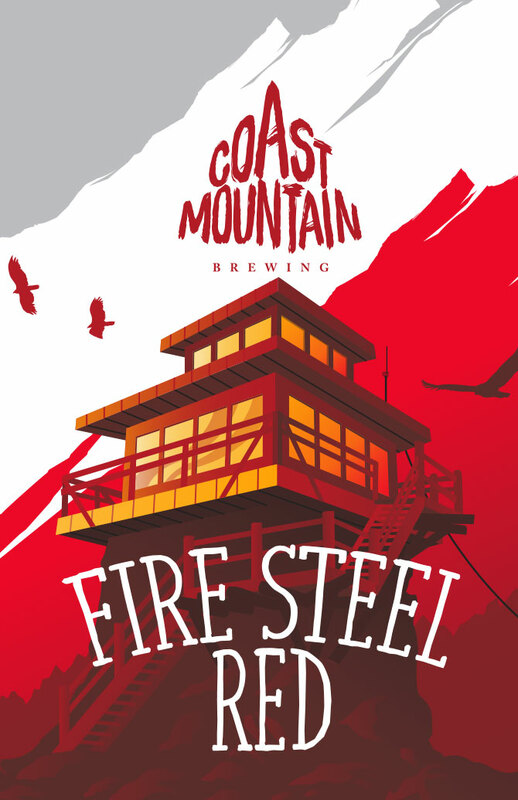 Exclusively available on tap here and with our friends Hunter Gather in the village. Highlighting the Azacca hop named for the Haitian god of agriculture, is a hop big in citrus and tropical fruit notes. This easy drinking Pale Ale is brewed with a gluten reducing enzyme. When Brewers get together in the Alpine, you harvest Wildflowers and brew a beer, right? 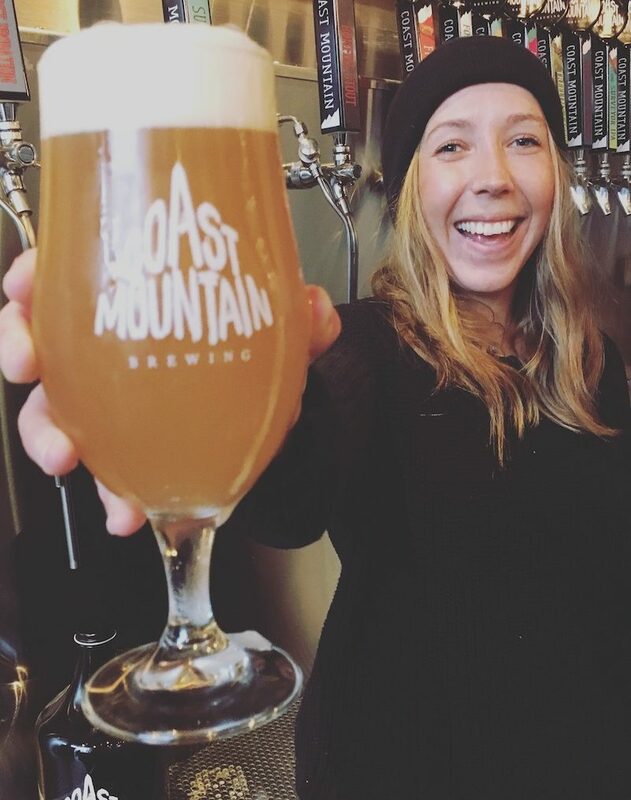 This Saison is brewed with Pilsner, Rye & Spelt grains, EKG & Organic Chinook hops grown just north of here in sunny Lillooet, BC and local Alpine Wildflowers. Nice and clean, extremely sessionable, no bitterness, smooth body with sweet notes of caramel and a touch of grapefruit in a beer we like for all to enjoy. 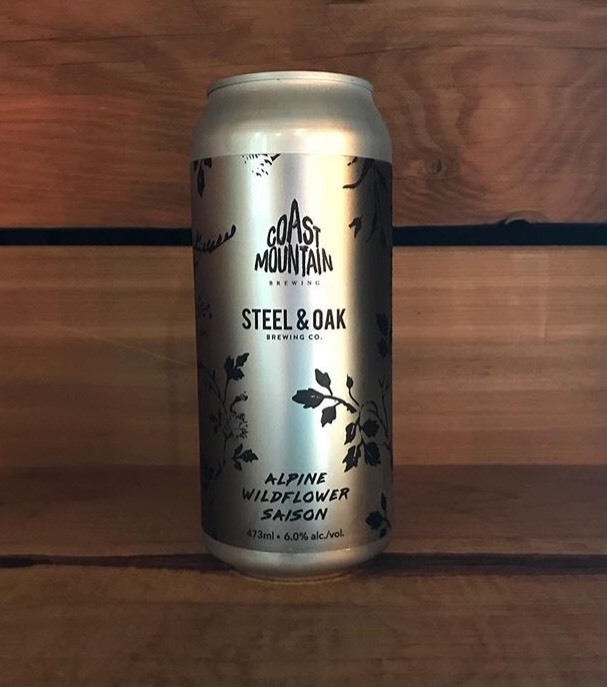 A collaboration with Streetcar Brewing in North Vancouver, this American Wheat Ale is loaded with hops which highlight aromas and flavours of citrus and stone fruit. Fresh peach was added during fermentation to add a nice subtle note that’s not overpowering. The perfect pairing for summer shenanigans. Smooth body stemming from Canadian Toasted Oats and Wheat. 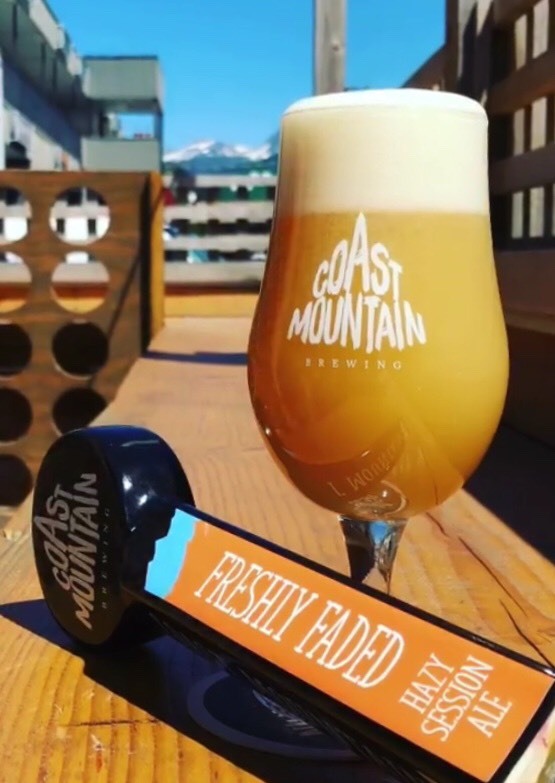 Dry-hopped with Vic Secret and Bru-1, Freshly Faded has patio sessions written all over this one. Tropical, Citrus heaven in a glass. 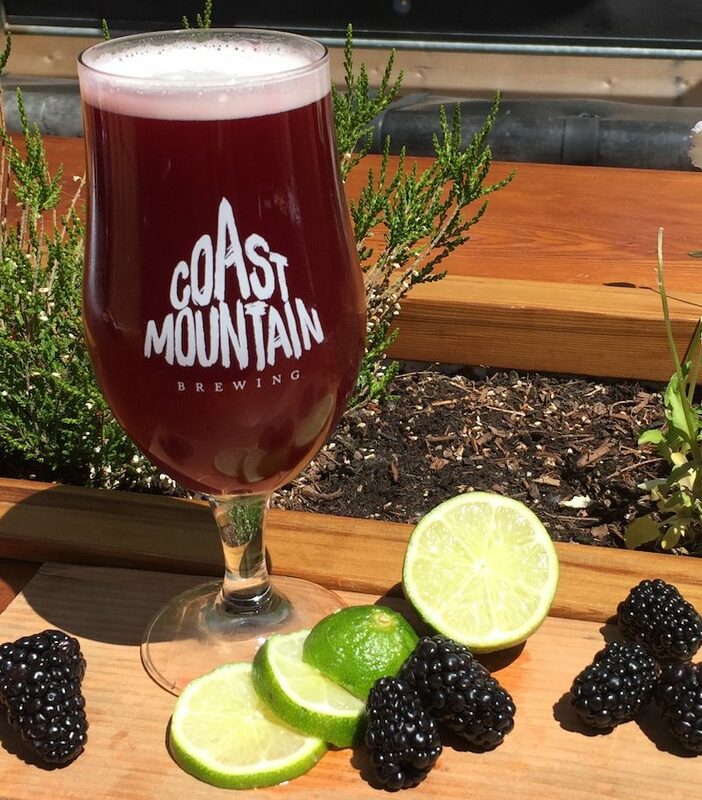 A Sour Wheat Ale which is brewed with our house lactobacillus culture then aged on fresh Lime Zest and Marion Blackberries which give the beer it’s beautiful colour. 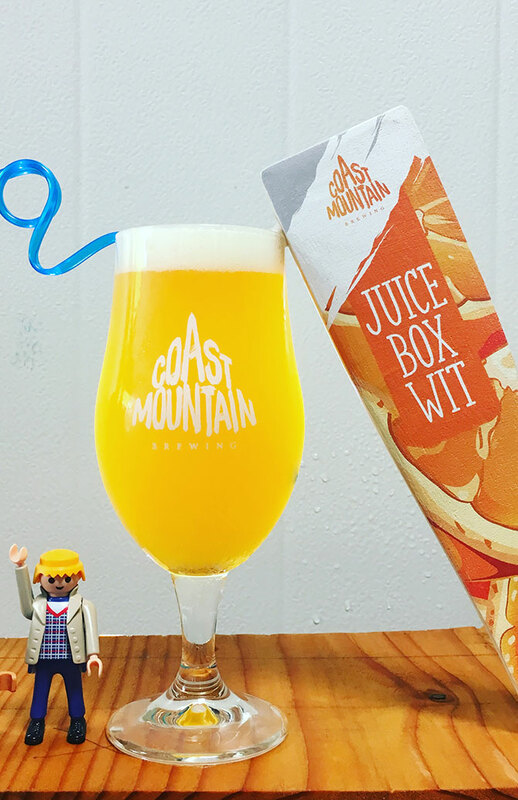 Bright orange character, lively acidity – A juice box for the big kids! Brewed with Weyermann Pale, Wheat and Munich malts aged on coriander and fresh orange peels. Dry-Hopped with Amarillo and Mandarin Bavaria and soured with our in-house Lactobacillus strain. Juice box drinks like a fresh squeezed glass of sour OJ! Columbus, Chinook, Amarillo and Citra are used throughout and Dry-Hopped with massive additions of Amarillo and Citra to create a tropical, juicy, citurs overall character across the warmth of the higher ABV. This is a very limited release. 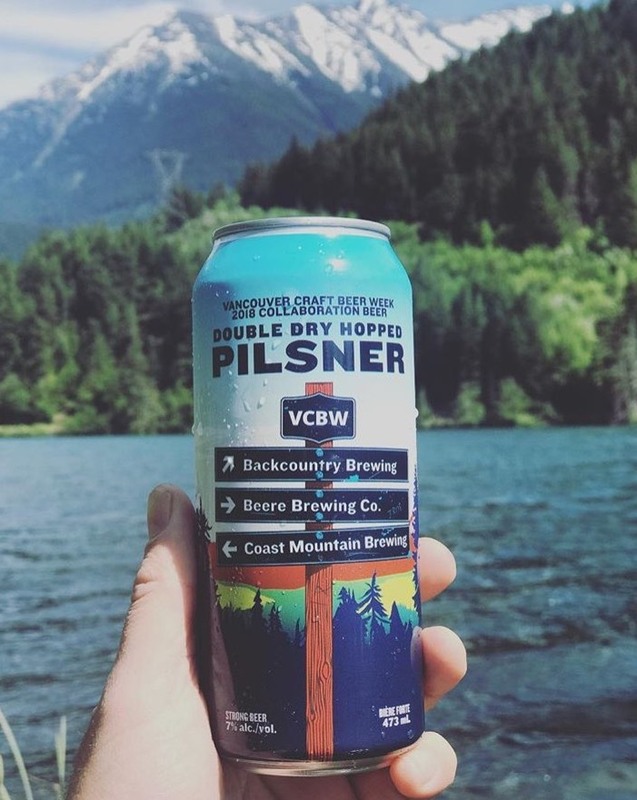 Three new breweries along this epic stretch of highway got together and brewed one wicked pilsner to commemorate the biggest craft beer celebration on the West Coast, Vancouver Craft Beer Week. 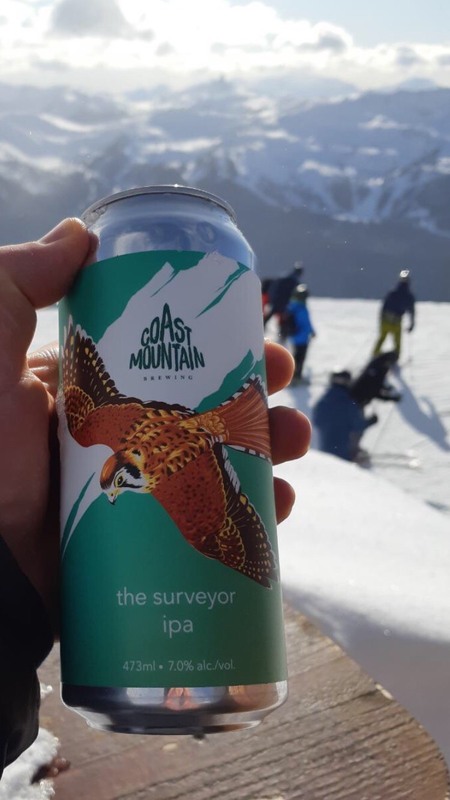 With a higher ABV and a copious amount of Citra, Mosaic, Vic Secret and Enigma hops, this beer is sure to live up to the reputation of the breweries that created it: Backcountry, Beere and Coast Mountain. 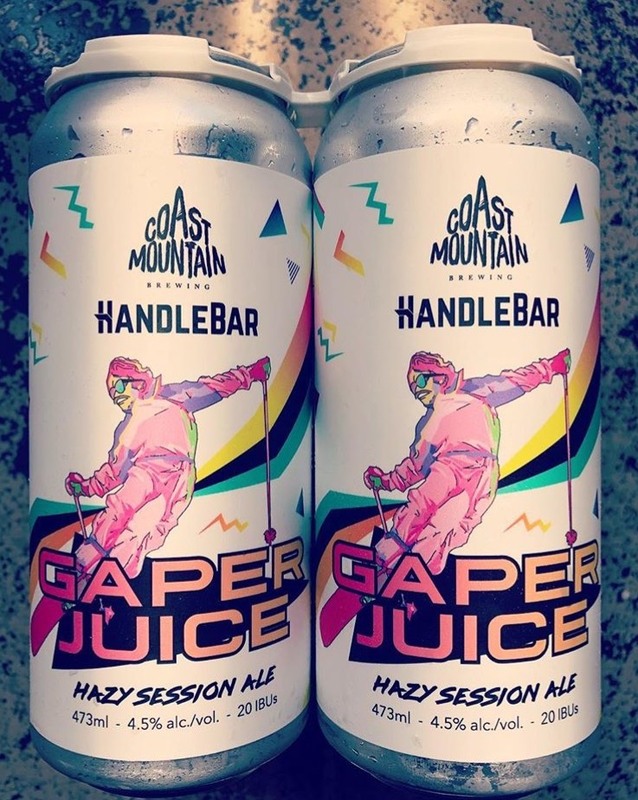 In a quest to make après great again we teamed up with Handlebar to create Gaper Juice, a Hazy Session Ale that’s like Spring Skiing for your mouth. 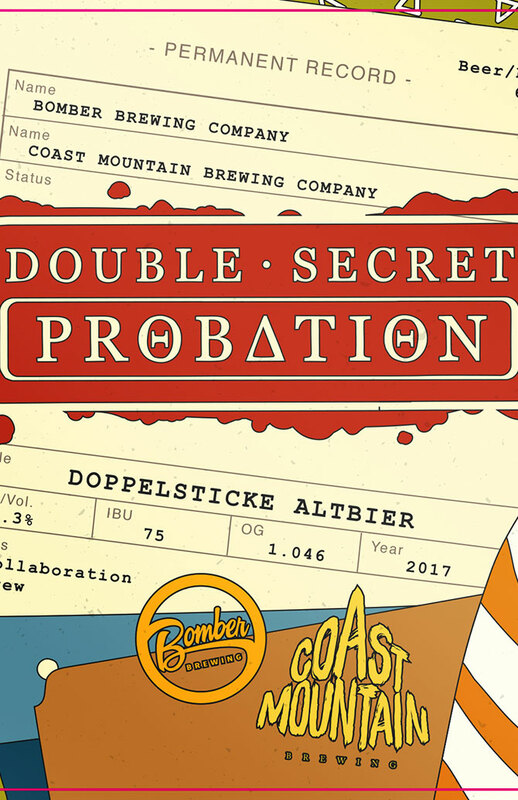 The hop blend for this epic creation includes Vic Secret, Citra, Mosaic, Loral, Palisade and Simcoe. The Pinks Boots Society was created to assist, inspire and educate women in the beer industry. 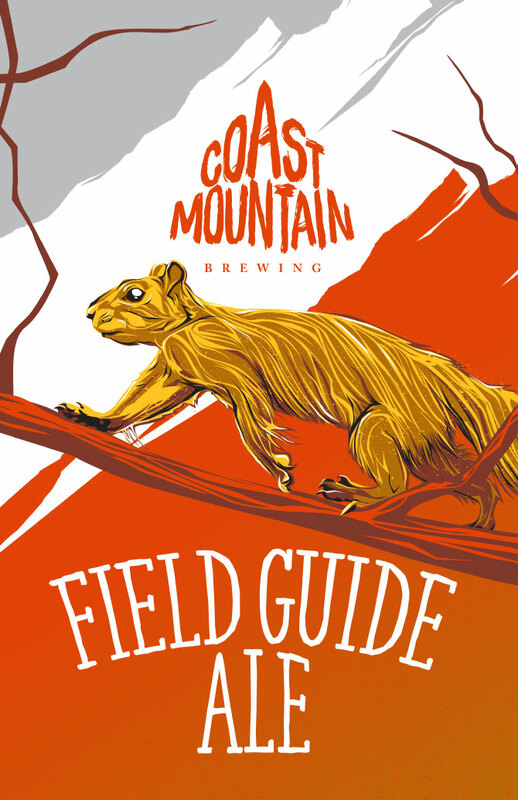 The 2019 curated hop blend includes Loral, Glacier, Mosaic, Simoce & Sabro. 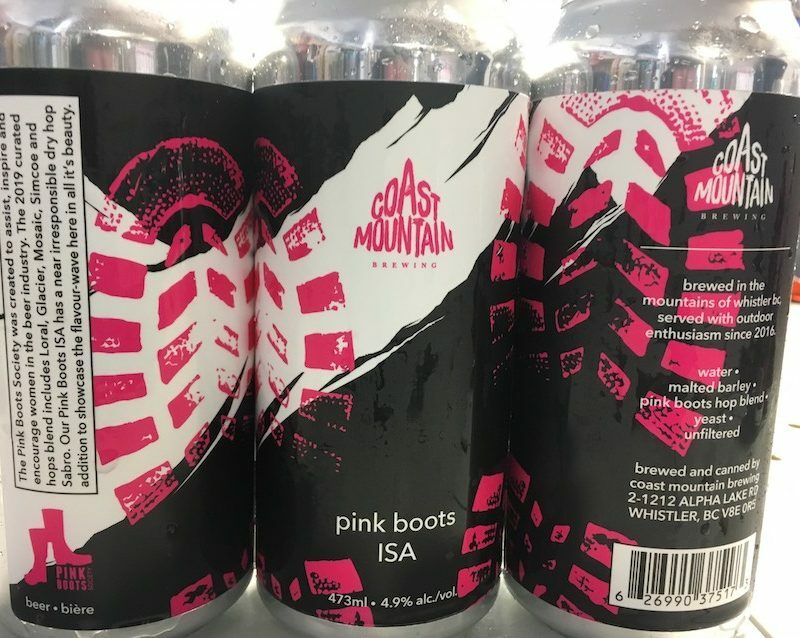 Our Pink Boots ISA has a near irresponsible dry hop addition to showcase the flavour-wave here in all its beauty! Belgian inspired sour, brewed with our house lactobacillus culture and a select blend of traditional European malts and hops. Parallel wavelike ridges caused by winds on the surface of hard snow. Especially in Polar regions. 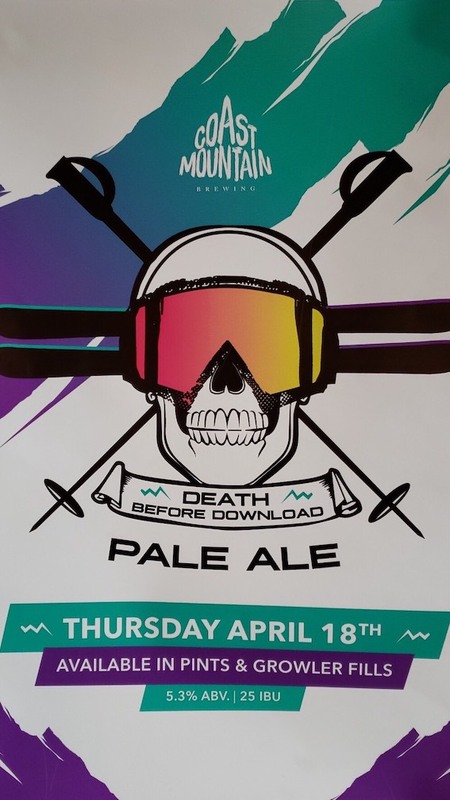 Forecast gives us a peak into the future where fairer days breed serious mountain Apres sessions. Clean use of Saccharomyces drys out the body, giving the generous dose of Amarillo dry-hops plenty of space to add beautiful fresh-squeezed juice like character. This weeks forecast is looking pretty tasty! Brewed with premium malts, toasted wheat, flaked oats then Double-Dry Hopped with Australian Ella and Vic Secret suggesting wicked tropical pineapple. 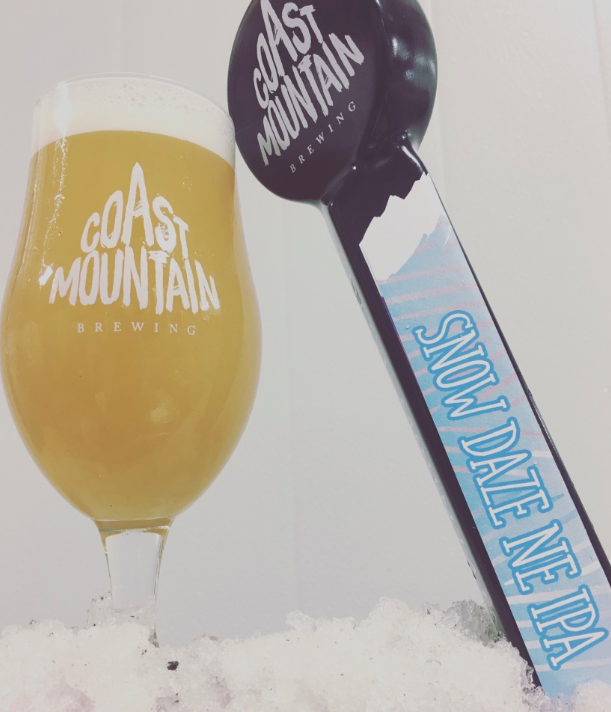 NE IPA hopheads rejoice // Snow Daze has arrived with irresponsible additions of Amarillo and Simcoe dry hops. 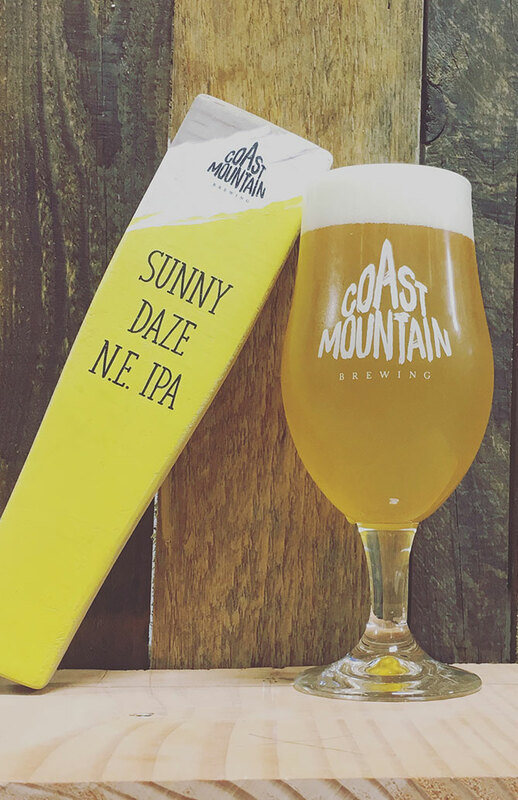 You’ll find virtually Zero IBUs (bitterness) in this juicy, hazy IPA. 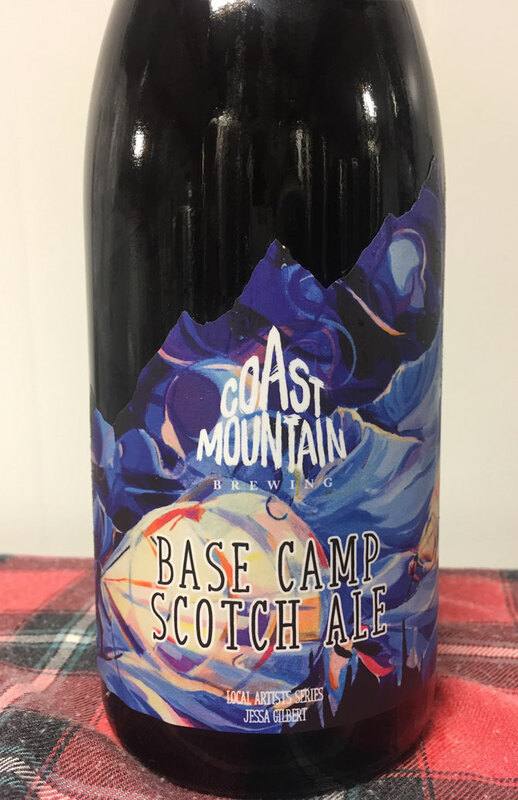 Place yourself in front of the fireplace at the ski cabin reading your favourite leather bound book sitting in a wingback chair sipping on Base Camp Scotch Ale. This rich, complex ale is brewed with European hops, Roasted Barley, Peated & Smoked Malts providing endless layers of flavour. Enjoy! 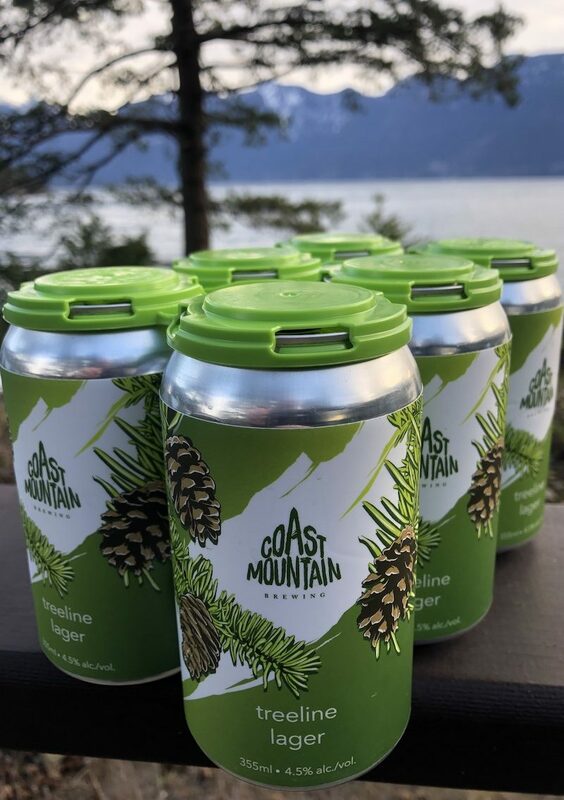 Brewed here with 8 breweries around the Sea to Sky including Backcountry, Howe Sound, A-Frame, Whistler, Brewhouse in Whistler, and the yet to open Pemberton Valley Beerworks and Back 40, in a Fresh Hop Hazy Pale Ale where the Lillooet Organic Cascade hops were harvested and used inside 4 hours for a beautiful unrivalled fresh taste. Artisty is found lurking in the shadows amongst the dankness. Columbus, Mosaic and Simcoe hops combine to create the funky, resiny, pungent lil beauty hop-bomb with balanced candy-like residual sweetness. German and English specialty malts provide a beautiful body of biscuits, crackers and light caramels. 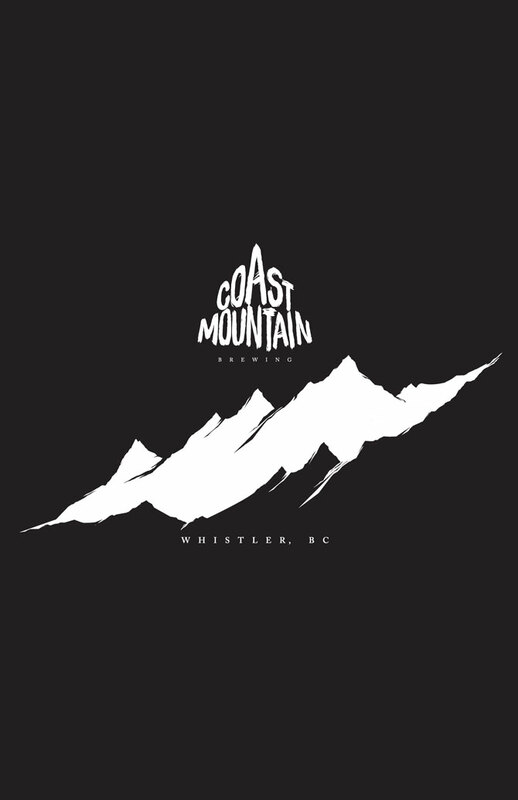 Our collaboration with talented friends at Whitetooth Brewing, out of Golden, BC is the culmination of 15 years of friendship between two brewers. 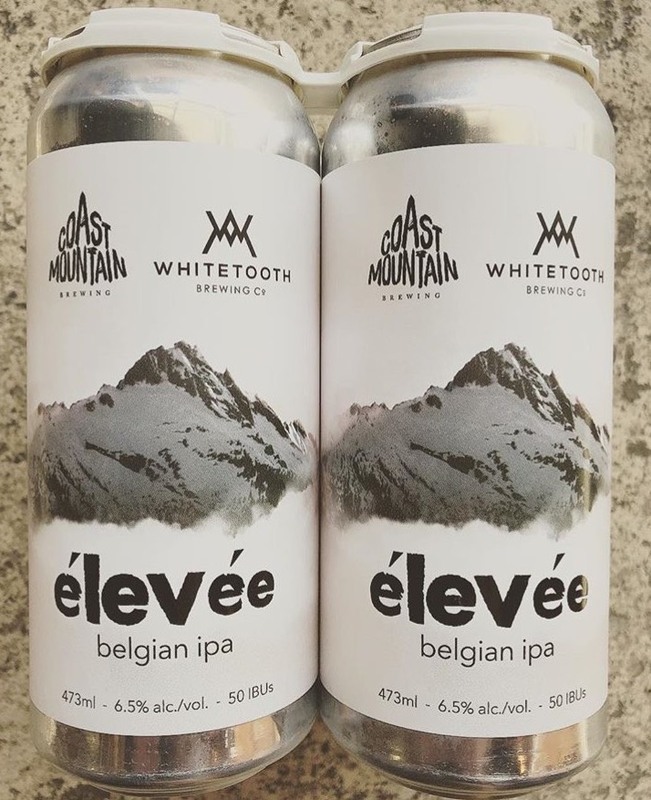 Èlevée is a beautiful 6.5% 50 IBU Belgian IPA dry-hopped with plenty of Simcoe and Cascade. 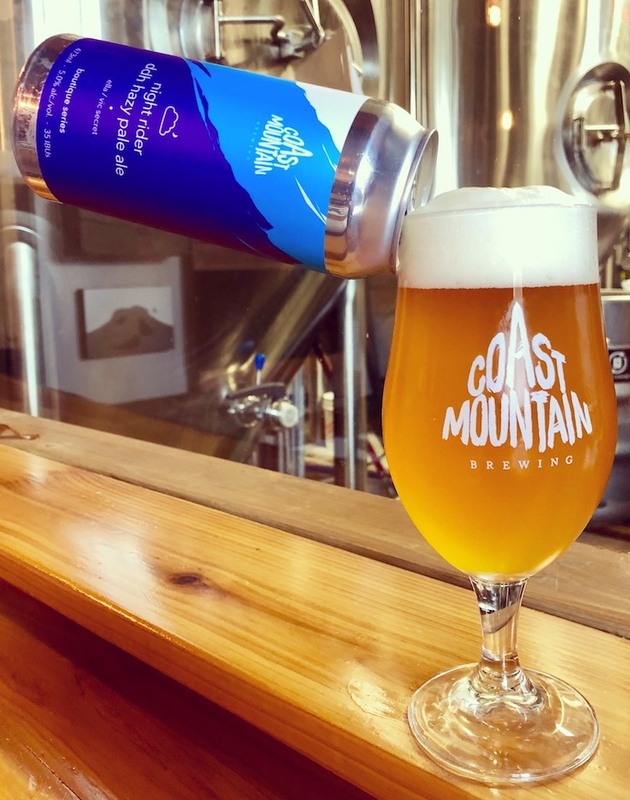 Soured with our House Lactobacillus Culture then fermented with Belgian Yeast and Dry-Hopped with Williamette Valley Hops’ featured experimental hop BRU-1 with Mosaic. Beautiful hazy, juicy goodness with notes of tropical fruits and citrus throughout. Brewed with generous additions of Canadian flaked oats, flaked wheat and tremendous late and dry-hop additions of Citra hops. This time of year things tend to get a little wet outside as the snow turns to rain and puddles gather all around us. 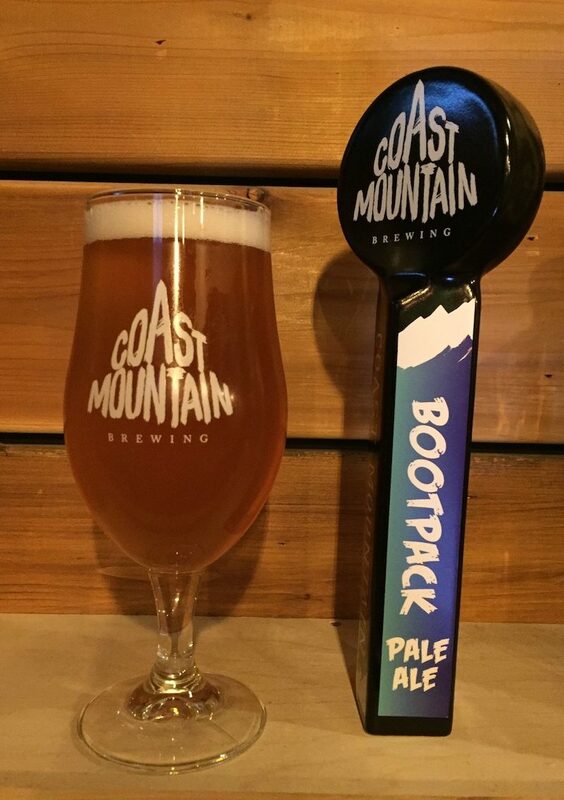 Socked-In hazy sour days are here in the mountains with Simcoe hops driving the flavour train with earthy, berry citrus like characters. 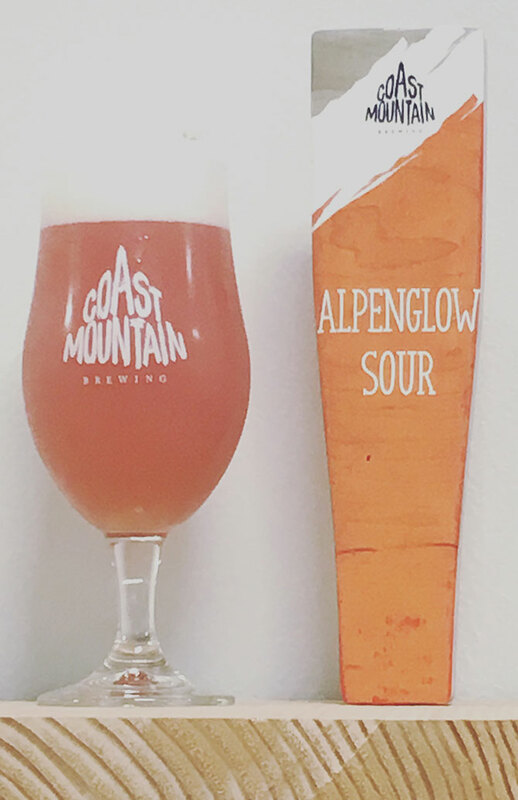 Alpenglow Blood Orange Sour is one of our favourites, lightly soured with our house Lactobacillus Culture. 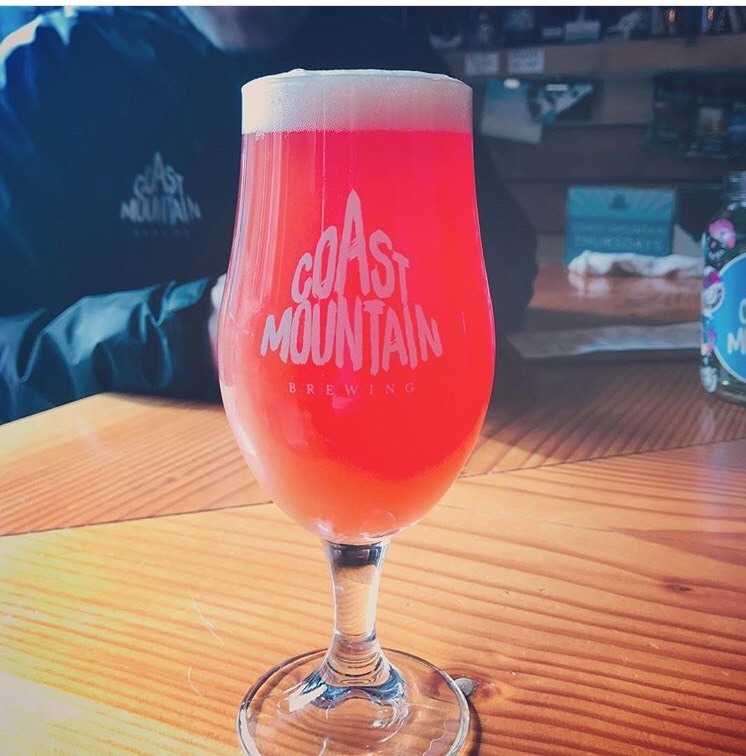 It’s infused with Blood Oranges and thoughtfully Dry-hopped with Mosaic then aged to perfection. A Rustic American-styled Farmhouse Ale brewed with a mixed fermentation of Saccharomyces and Brett C. adding earthy, black peppery notes. Rye grains compliment with spice, and Mosaic dry-hpping adds a touch of rose, blossom and fruit. 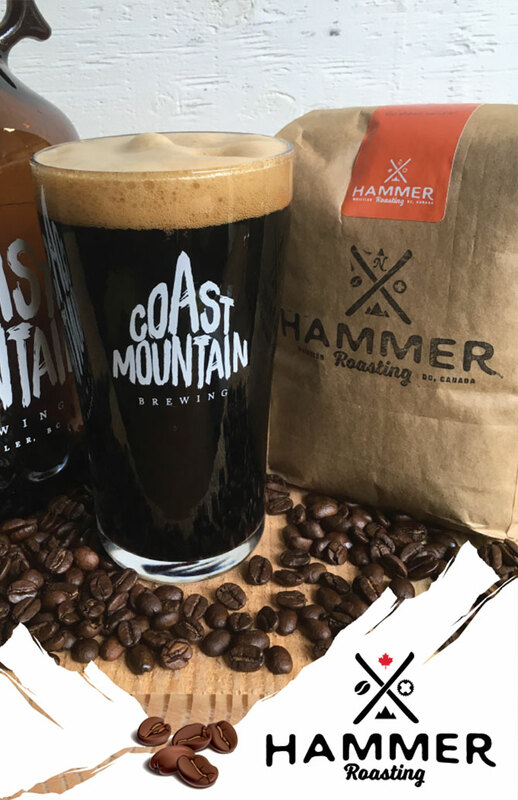 We teamed up with Chrissy and Mat from Hammer Coffee Roasting here in Whistler, to brew this robust, caffeine rocket fueled English Porter. Dry, roasted qualities with notes of chocolate and caramel balance effortlessly against the abyss. Super-juice, aged on the fresh fruit of pineapple and coconuts, then double dry-hopped with ridiculous additions of Mosaic glides this ‘SUP’ along beautifully. 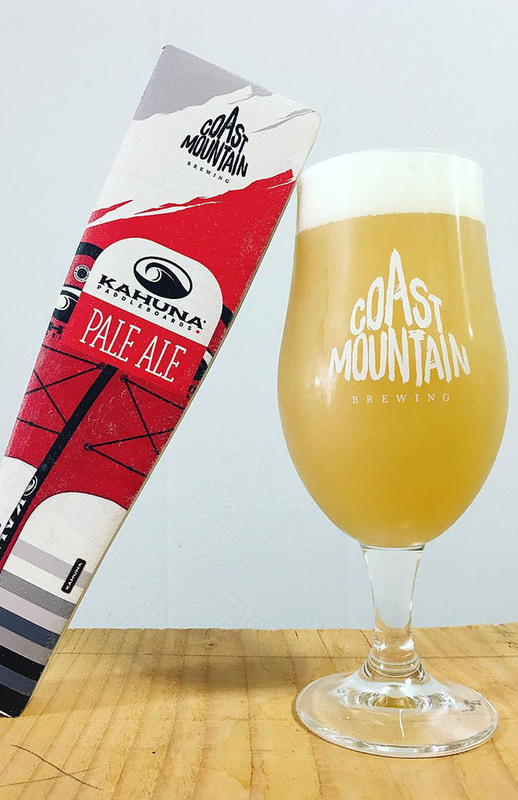 Brewed for fun in collaboration with our good friends of Whistler-based Kahuna Paddleboards. A Sour Wheat Ale intentionally pale, crisp and tart. Conditioned with our house lactobacillus culture. 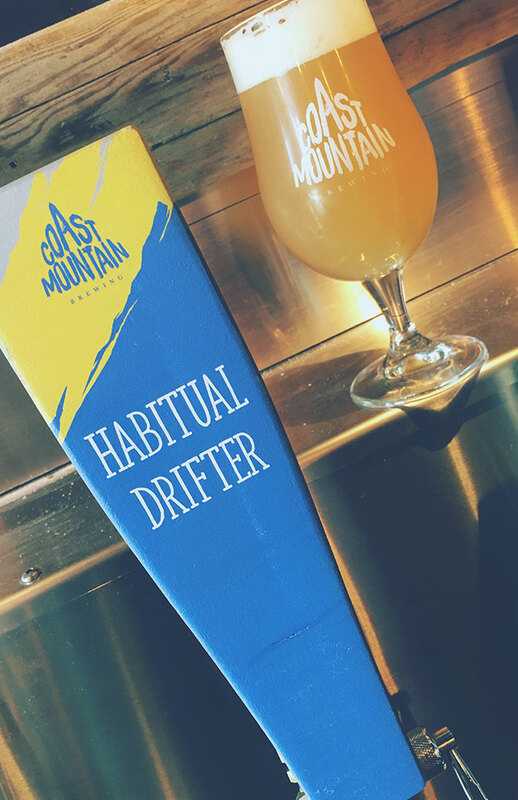 Habitual Drifter is a nice, light and refreshing wheat ale having no particular group or heritage. 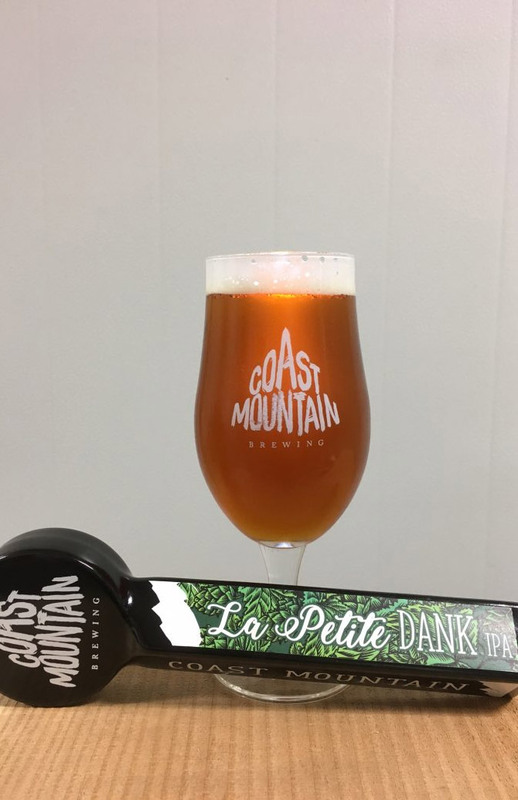 Our Signature IPA at 7% ABV and 68 IBUs is a massive hop-forward ale, built with solid structure to showcase the hops that shine in this Pacific North West IPA. 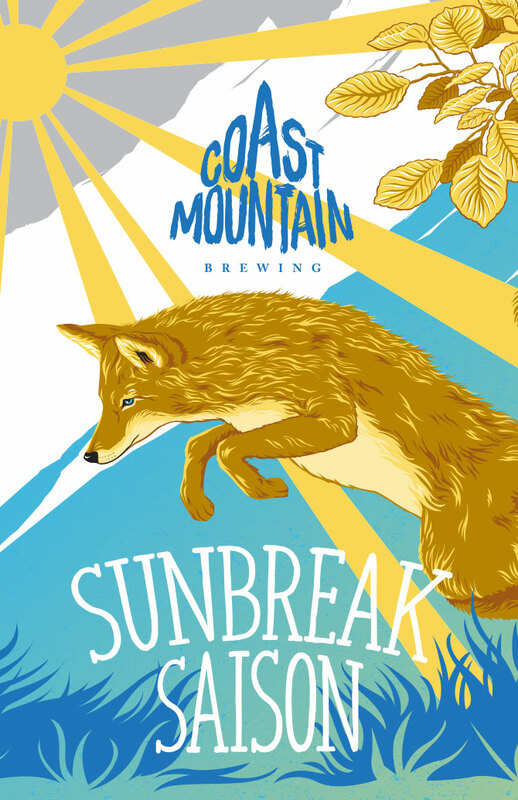 Sunbreak is a French Farmhouse Ale, brewed with a select combination of ingredients including Simcoe and Ekuanot hops so incredibly tasty, it’s ridiculous. Our go-to, any day Lager, built crisp, clean and tasty with traditional ingredients sourced directly from Germany. Brewed repeatedly in small batches for an incredibly fresh taste. Bright red pomegranate fruit adds brilliant colour and flavour. Kettle soured and dry-hopped with Cascade hops! A First Aid Kit, just in case. 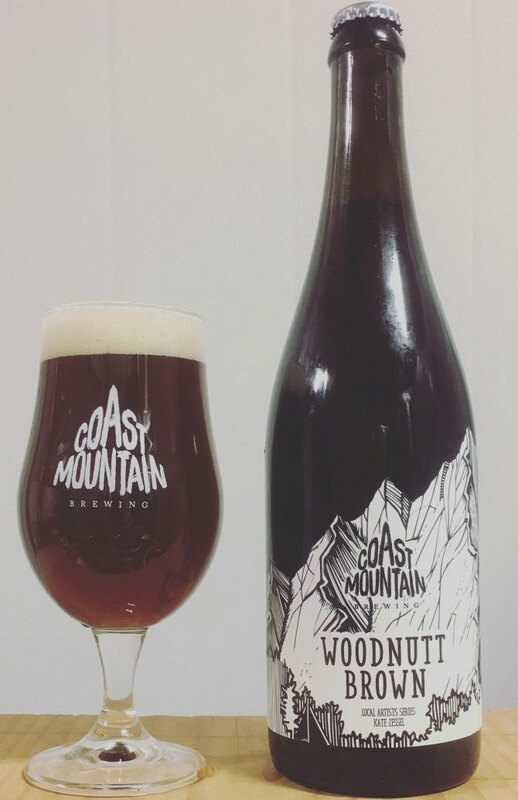 The Woodnutt Brown ale the perfect fall sipper with notes of caramel, chocolate and a slight hint of coffee bean. Enjoy the Woodnutt with the best of friends right here at home in Whistler, BC. Here we have a juicy IPA originating from New England in the USA. Brewed with Oats and Wheat keeping the beer as cloudy as can be with a bigger mouthfeel and the bitterness restrained. The aromatic hops shine with Idaho 7 and a old world English yeast strain helps keep everything together. 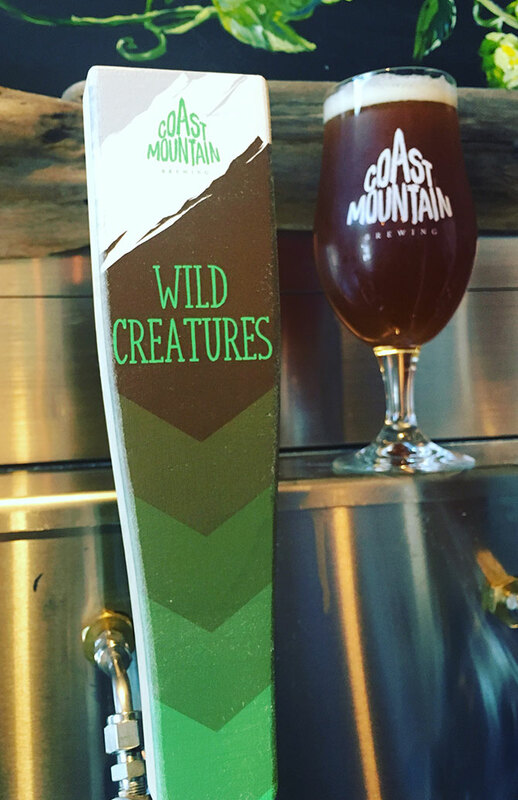 Up in Pemberton our Assistant Brewer Matt and his wife Riva, grew and harvested the hops found in this limited edition beer. Without all the harsh bitterness or alcohol found in big IPAs, here we have low alcohol and little perceived bitterness. 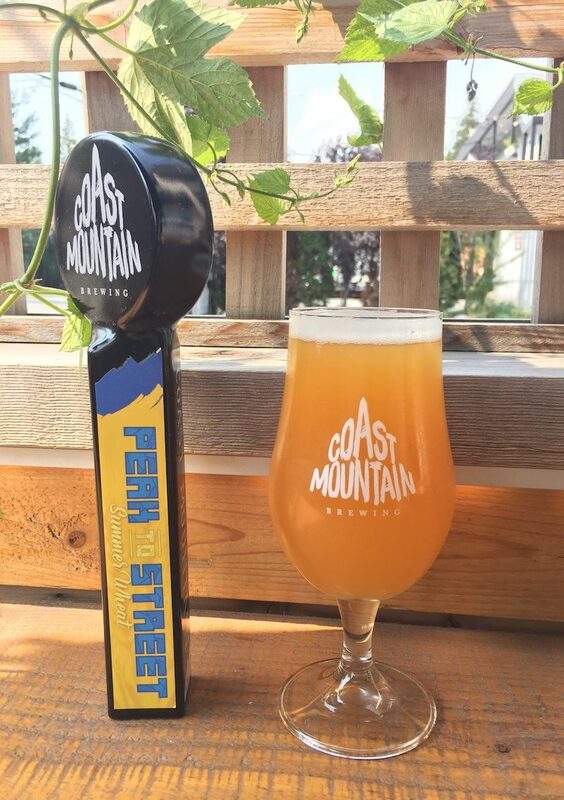 Cascade (Grapefruit), Amarillo (Orange), Citra (Citrus) hops shine in our Pemby Fresh Hop ISA. 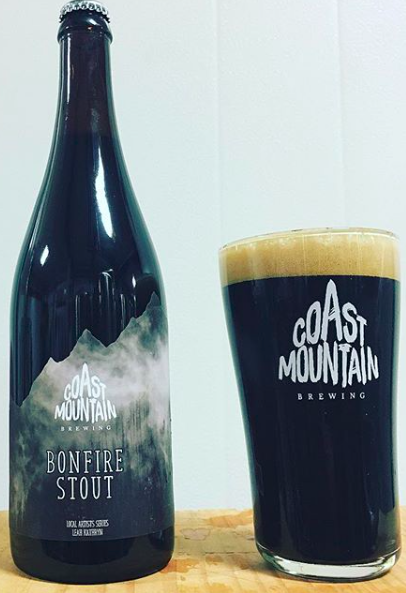 Bonfire is rich, bold and full of roasted barley, oats and chocolate malts with a hint of campfire smoke lurking in the background. A beautiful dark and foreboding Stout. 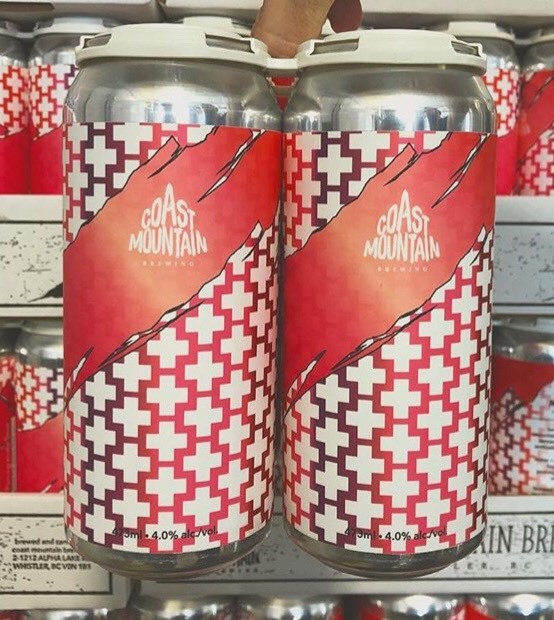 In collaboration with our talented friends at Field House Brewing in East Abby, together we have produced this refreshing, tart beer with a pithy grapefruit finish. 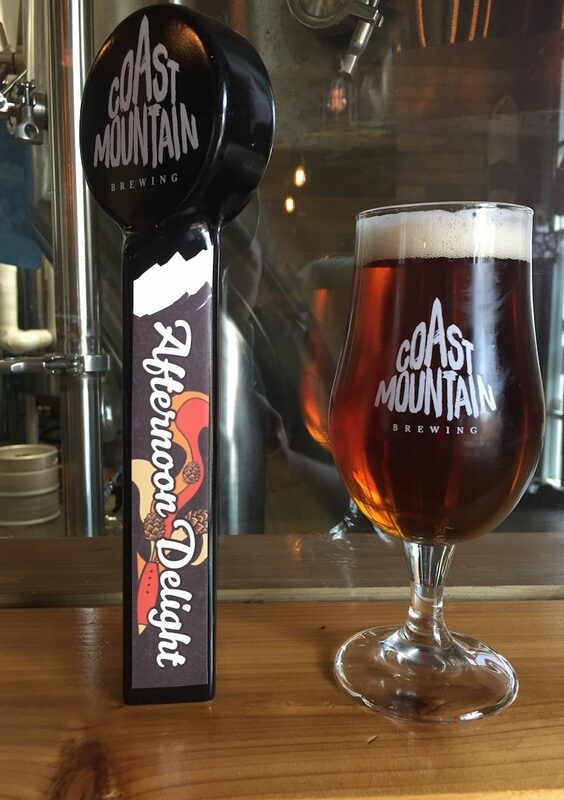 Our NorthWest Red Ale is brewed with six carefully selected specialty malts and an intense burst of flavour stemming from Simcoe, Centennial & Chinook hops. 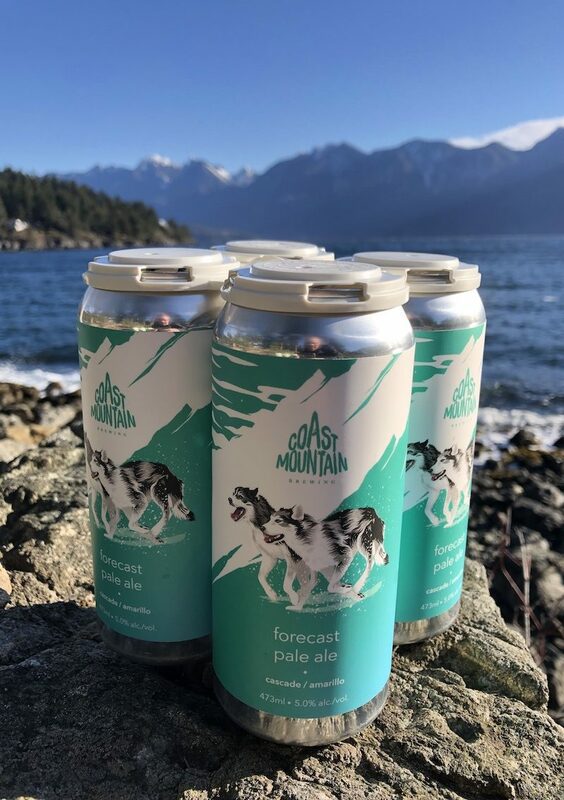 WINNER of SPECIALTY BEER Award at the 2018 BC Beer Awards! This little one keg beauty comes from our pilot system in an exploration of flavour and the ever evolving quest for the tastiest beer on planet earth. Here we have infused bourbon into a London classic, for a fun escape from the everyday ale. 2017 All Rights Reserved. Enjoy Responsibly.